A complete guide to the 6 best rooftop bars in Seville in 2019. 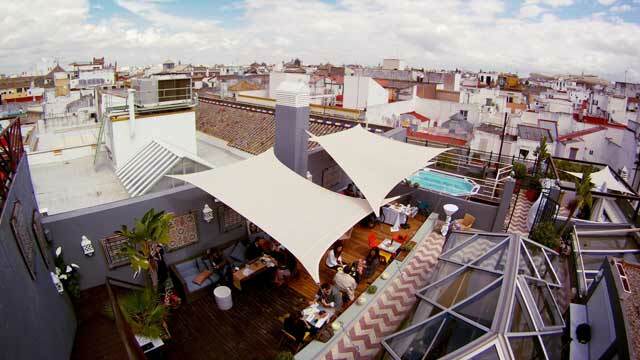 Find the best Seville rooftop bars with all info you need about each terrace. Opening hours, dress codes, pics, maps and much more. 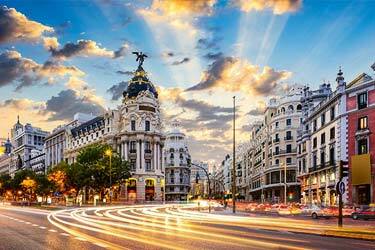 Seville is a classical and genuine city in the south regions of Spain. The mighty cathedral is a common view spot from the roof terraces located here. Expect tasty food and a perfect rooftop climate, when visiting Seville. So, which is the best rooftop bar in Seville? 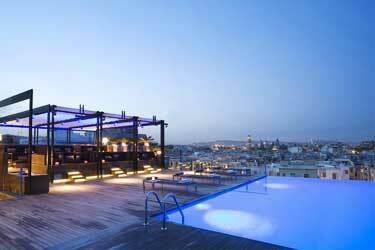 Scroll down and find the Seville rooftop bar best suited for you. Or use the Seville rooftop map in the bottom right corner. 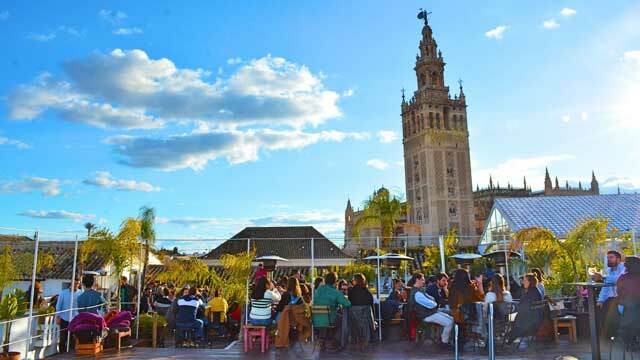 This is Seville's first terrace bar and probably also the one with the best views of La Giralda and the Cathedral. With several levels and areas of seating, the Hotel Doña María terrace is more old-school, rustic and charming than modern and fancy. But that just fits the surroundings perfectly. 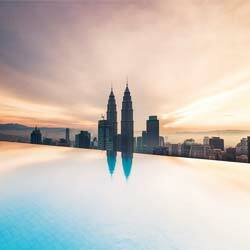 Enjoy a large selection of creative, tasty and potent cocktails, along with a fantastic sunset and late nights of jazz, blues, flamenco and DJ session vibes. 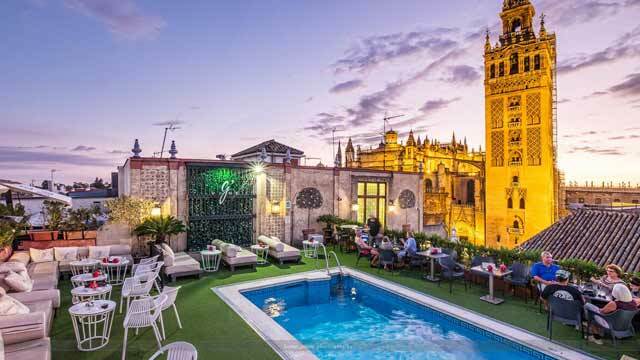 Located in the Santa Cruz area, on the roof terrace of the boutique hotel Fontecruz Sevilla Seises, the lovely and bohemian Pura Vida rooftop bar provides a magical and up-close view of the cathedral and La Giralda. Inspired by Costa Rica, the vibrant and relaxed terrace offers live accoustic acts along wit a mix of refreshing cocktails, ice cold beers and an ever changing menu of tapas. 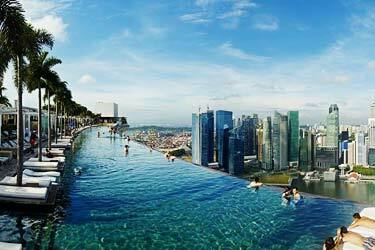 During summer, the Beach Club SLOW and the lovely rooftop pool is open for both hotel and outside guests. 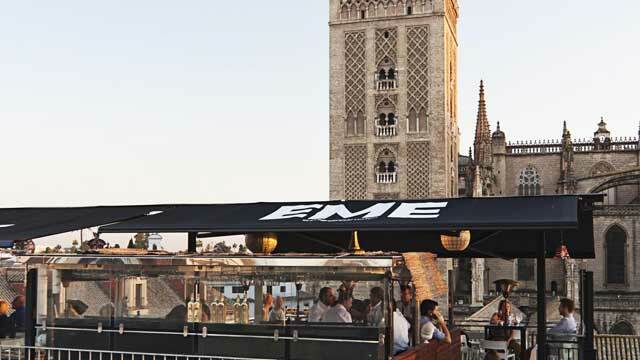 A stylish and sophisticated roof terrace perched on top of the fantastic EME Catedral Hotel. Located just a few steps from the impressive cathedral, the close-up views over La Giralda are majestic, and complemented with panoramic vistas of the Seville skyline. Set over two levels, the modern and trendy terrace is towards upscale, but still with a relaxed and casual vibe. 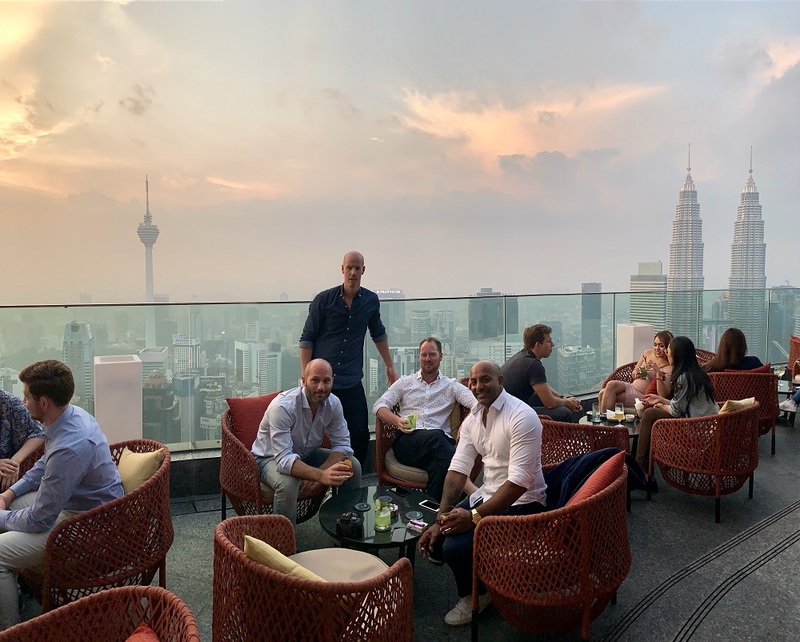 Enjoy high quality service, delicious cocktails, tasty bites and a chic lounge vibe, 365 days a year. A somewhat different and unique rooftop bar in Seville, given that it is located up on the roof terrace of the department store El Corte Ingles. From the terrace you get a superb view over Seville and its skyline, with the Cathedral as the main attraction. Friendly and relaxed in ambience, this is not one restaurant, but a full on food market. Choose and order inside and bring your food out to the terrace. 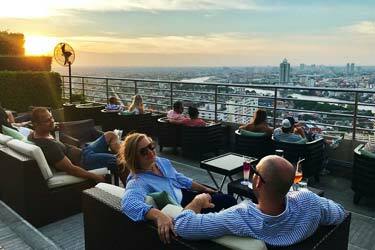 There is also a full-service rooftop bar offering a wide variety of crafted cocktails. 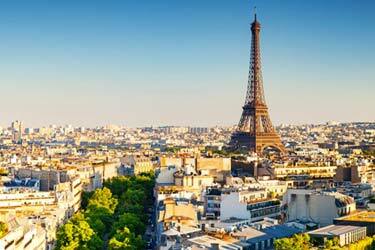 Perched on top of Hotel Inglaterra, La Terraza is somewhat a hidden gem. 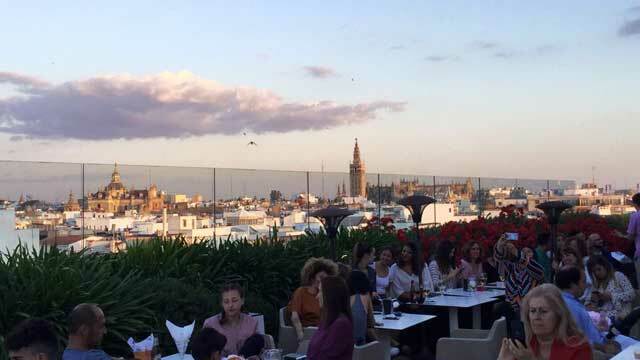 This large and modern Seville rooftop bar is located in the heart of old town, right on Plaza Nueva, and offers an amazing 360-view over the entire city skyline. Decorated with a long and stylish bar and lots of front-row lounge furniture, this is a great spot for relaxing and sophisticated sunset drinks, enjoying a large menu of crafted cocktails, a nice selections of wines and also some tasty bar bites. The multi-level Roof is a cool and relaxed rooftop bar in Seville, located at the Casa Romana Hotel Boutique's top floor. The rooftop terrace offers a nice 360-degree view of the neighborhood of Las Setas and its surroundings. Very loungy in vibe, usually with a resident DJ playing soft tunes in the background, this is a great spot for a couple of cocktails and tapas with a group of friends, chatting and enjoying the chill-out atmosphere. Discover the biggest collection of Seville activities, guided tours and skip-the-line tickets. Anything you want you'll find right here. Which are the best rooftops in Seville? This complete guide will help you find the best rooftop bars in Seville. 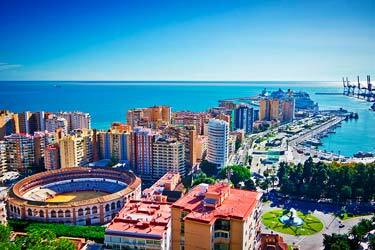 Seville is Spain's warmest city with an average temperature of about 18.5 degrees annually. This results in that the rooftop bars in Seville being open all year round. The terrace bars here are often luxurious, located on a hotel and with a view of the famous cathedral. 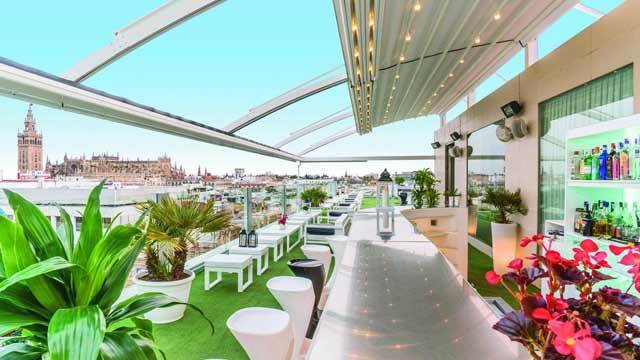 Expect tasty cocktails, nice views and well made spanish food when visiting a rooftop bar in Seville. There's a lot of Seville bars and hopefully we will see more roof terraces in the near future. Seville is Spain's fourth largest city and it is also the capital of the region of Andalusia. Seville is perhaps most famous as being the starting point for Christopher Columbus when he began his journey and discovered America. 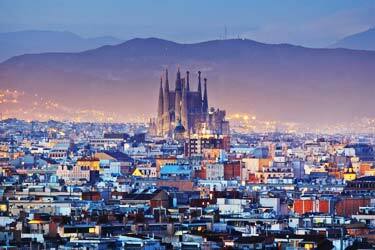 Famous sights in the city is the cathedral and the Alcazar. Many foreign and domestic tourists come here every year during the annual tomato festival La Tomatina.